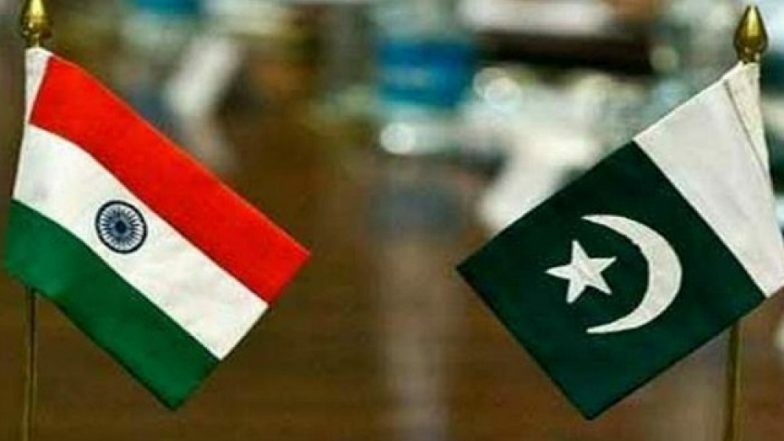 Lahore, April 16: Pakistan and India on Tuesday held a technical meeting to discuss the modalities for the corridor linking Gurudwara Darbar Sahib in Kartarpur to Dera Baba Nanak shrine in Gurdaspur district in Punjab. The technical experts and foreign office officials from both sides participated in the talks held at Zero Point (Kartarpur), according to Geo News. They reportedly discussed installation of a border fence and road design. Kartarpur Corridor: India To Construct Passenger Terminal Building To Facilitate 5,000 Pilgrims Daily. In Pakistan, the groundbreaking ceremony of the corridor was performed on November 28 last year by Prime Minister Imran Khan. Fifty per cent of the four-kilometre stretch being built by Pakistan has been completed while the stretch between the Zero Line to Baba Nanak's shrine is being built by India. The corridor will be opened in November this year in connection with the 550 birth anniversary of Baba Guru Nanak.